It’s not enough just knowing how to wire led lights but you’ll also need to think about the “where”. If you want your LEDs to turn on when you use your parking lights then wiring LEDs into parking lights would probably be the first solution to pop to mind, but it’s not the best one. It’s recommended to instead tap the wire that feeds the dimmer switch of your car. Just make sure that it’s a 12 volt source. Fuse it and use to power one leg of the switch, repeat with the other leg. Remember to use a switched source so that you don’t leave it on accidentally, and use pre-wired LEDs, they’ll make your project so much easier! 2004 f350 SuperDuty. Diesel. (24v system. Dual Batteries)I will be wiring LEDs under each seat and then one in each Foot well. 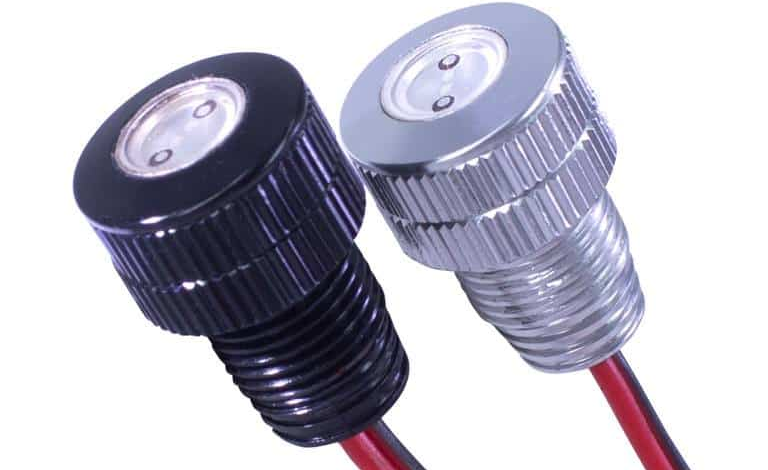 My question is, Can i tap these LEDs into the parking lights wiring without drawing too much from them and blowing the fuse?I want to do this so my LEDs come on whenever i turn on my parking lights. I will also be installing a 3 position switch with, off- selected (parking lights)- and Constant power.Also, mise well kill 2 birds with one stone. I will be wiring 5mm orange LEDs into the cup holders, i understand to drill into the bottom and put the LED through the back, but how are other people keeping these LEDs in place? sealant? Silicone?Thank you ahead of time for all your help and feedback ! I’d tap the wire feeding the dimmer switch, use that to power them verify that there is 12 volts there. I forgot about the dimmer switch that should work good! As for the second leg of the switch being a “switched power” source, I have 2- 12v outlets, but they are both constant, Any ideas or places to look for a good “switched” power source? And thanks for the conformation on the single LED mounting! Do i need to run resistors off of the LEDs to prevent over powering them? Ill be tapping each LED into one power wire that is going to the source.